There’s nothing I love more than drawings with plenty of cross-hatching + when I came across Elvira T’Hart, I was floored! 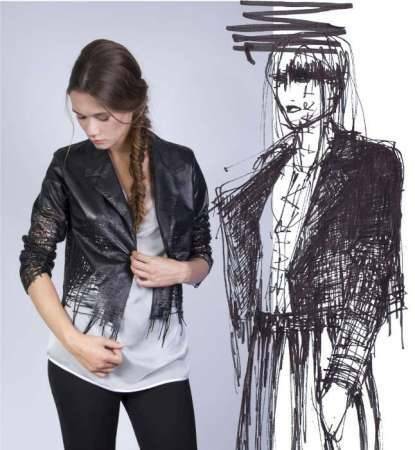 Rather than drawing technical patterns, she literally draws her designs or use sketches as her patterns + cuts these out directly by laser. In doing so, all characteristics of the drawing are left in the final design, like outlying lines, lines that abruptly end, parts that are not colored in completely. One could easily interpret this piece as a wearable illustration. But what is even more amazing is how Elvira leaves it all up to chance regarding the final outcome. There is no way to predetermine whether or not the design will result in what the designer intended it to be but she thankfully feels that the design doesn’t need to be complete for it to decipher what it is to become. 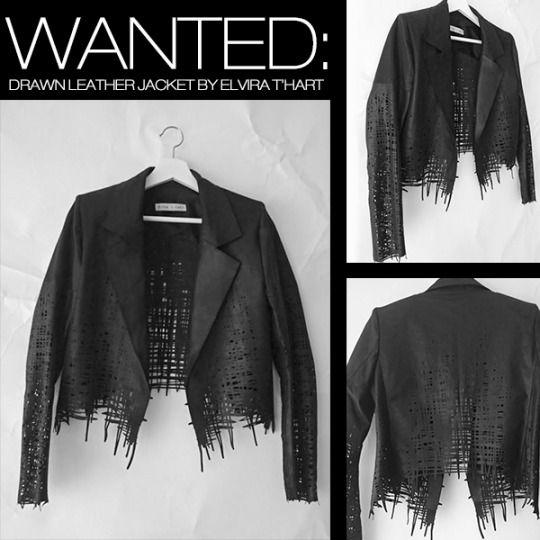 For your very own ‘Drawn Leather Jacket’ + more from Elvira T’Hart, go to WOWCRACY.